0 down vote favorite I have one WinServer 2008 Domain controller and a CA server on it. 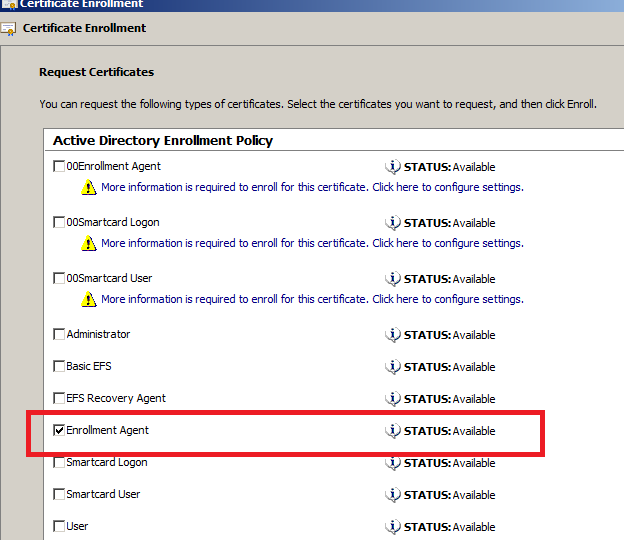 I login with Administrator account and want to request a certificate "on behalf" of a user of my DC. I changed configuration and permission for new templates so that Administrator account can read, write and enroll for these templates. i read a lot of documents online but i did not found the resson to solve this problem! Default setting on Enrollment Agent template requires CA manager approval. It appears that you didn't read status message when enrolled the certificate that states about manual certificate approval. 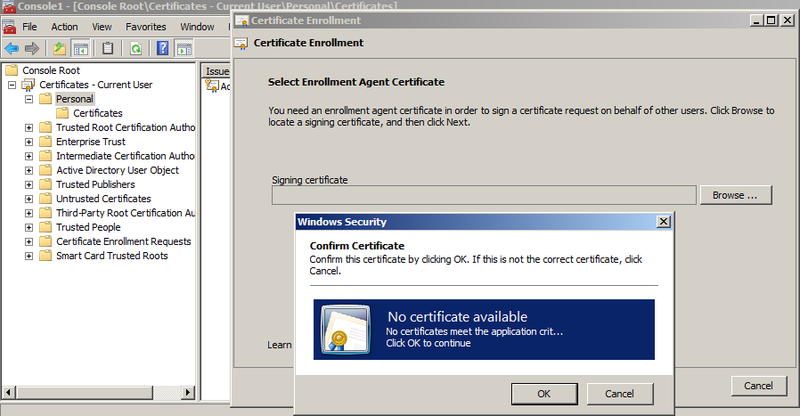 this command will trigger autoenrollment and autoenrollment will retrieve and install issued enrollment agent certificate. Not the answer you're looking for? Browse other questions tagged certificate certificate-authority or ask your own question. 'Certificate types are not available' When creating computer certificate?